From 1853 until 1920, the Children’s Aid Society in New York and then later the Catholic New York Foundling Hospital would take homeless children from the East Coast to the Midwest. The goal was to provide the children with homes and families. Charles Loring Brace, who started the Children’s Aid Society felt that having children living in institutions was not right. He felt that only with work, education, and family settings would the children develop into self-reliant individuals. This picture paints what may be a lovelier picture than reality suggests. It is thought that over 200,000 children were taken to the Midwest on the orphan trains. At first, the trains were little more than cattle cars transporting the children. The accommodations did improve over time. The trains would have an itinerary of towns where the train would stop and the children would be herded into a hall to be looked over by townspeople that wanted to take in a child. If not taken in one town, then the child would move on to the next town and see if they were taken in the next town. Some of the orphans benefited from the move. 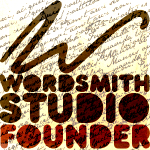 Others were treated as indentured servants or worse. Siblings were separated. 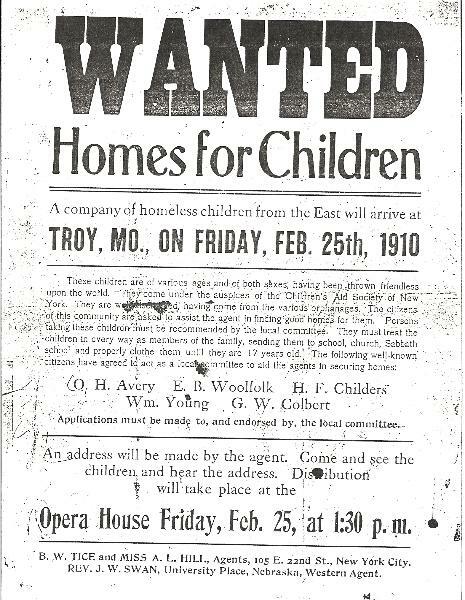 The orphan trains were discontinued in 1920 when a new system called foster care was started. There is a National Orphan Train Museum and Research Center in Concordia, Kansas. 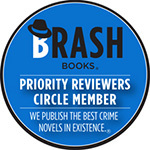 As you may have guessed, the real orphan train plays a part in this work of fiction. 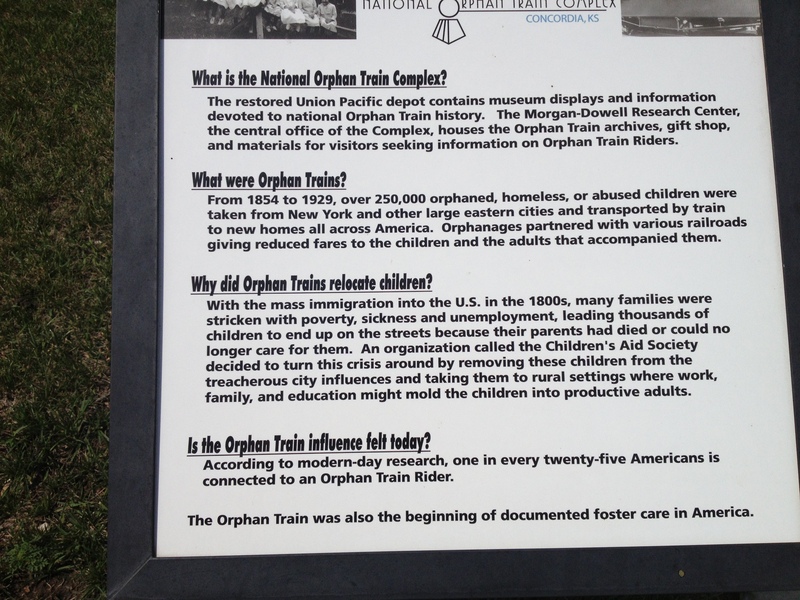 I did not know very much about the orphan trains. I find it fascinating that according to the Nation Orphan Train Museum and Research Center one in every twenty five Americans is connected to an orphan train rider. Molly Ayer is in foster care and is not doing well. Her foster mother did not want her and obviously disapproves of her. She is one step away from going to juvenile hall. To try and keep her out of juvenile hall, her boyfriend gets her a community service position helping an elderly woman clean out her attic. Vivian Daly had a family. They came to the U. S. from Ireland to find a better life. It did not work out that way. There was a fire in the building where they lived and Vivian was told she was the only survivor from her family. She is eventually put on an orphan train. As Molly helps Vivian go through all the boxes in the attic, Molly learns the story of Vivian’s life and Vivian finds out more about Molly. While some have suspicions about Molly’s intent, she and Vivian create a bond based on their backgrounds. I had put this book on my Summer Reading List and was subsequently told that it was not that good. Since I seem to find plenty to read, I was surprised and did not move very fast to get the book. I was away with a friend who was reading the book so I grabbed it when she finished. I think that we all are affected by books differently at different times in our lives. I thought the book was very good. It was an engaging read and the story moved along well. The characters were sympathetic and well drawn. Reading about the two orphaned woman’s parallel lives make each more understandable. This entry was posted in Talking Books and tagged Christina Baker Kline, The Orphan Train. Bookmark the permalink.